14ct yellow gold. This celtic cross is made in Ireland. This stunning celtic cross is new to our range. Please feel free to call or one of our friendly staff members anytime for further information and personalised service. 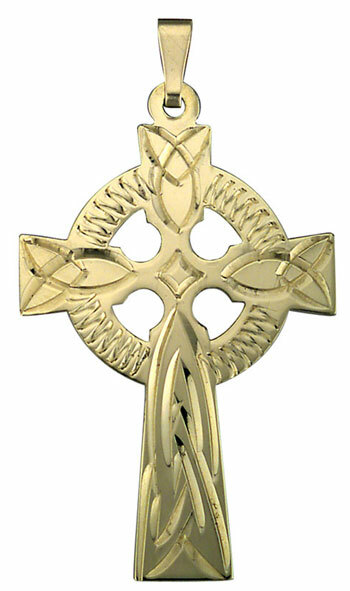 14ct Gold Celtic Cross, This lovely celtic cross is the ancient irish design. S8101 - Large Mens Cross,14ct yellow gold. This large celtic cross is detailed and heavy. Beautiful Sterling Silver & 10Ct Yellow Gold Celtic Knot Pendant With A Diamond Placed In The Middle.